I have been a duck hunter for over 50 years and after all the years of hunting over plastic decoys, all of which have the same look and ride unnaturally on the water, I decided to make my own. I make each decoy by hand from high density tan cork and the heads from bass wood or tupelo gum. Each head has glass eyes and is painted with high quality acrylic paint. The bodies are carefully sealed to preserve the cork and wings are added to give depth and to create a more realistic look. The keels are made of salt-treated pine, are lead-weighted and are ready to have lines attached. I make decoys in many different species (drake and hen) and can make any additional species by special request. While the decoys can be made in two sizes, regular at $60 and magnum at $65, with the exception of pintail drakes, which are $67, there are several species which look more realistic in the magnum size, i.e., mallards, black ducks and pintails. Diving ducks are made in magnum only as large is preferable given the size of the water on which they will be floating. These include lesser and greater scaups, canvasbacks, red heads, common eiders, surf scoters and golden eyes. 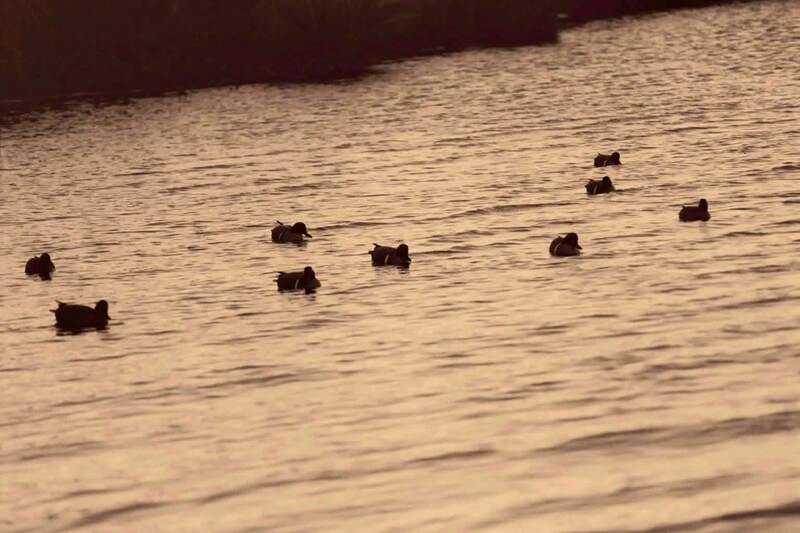 Under Puddle Ducks and Divers, you will see a list of all the decoys I make with a photo of each. For a decoy order of one, payment is required in full when order is placed. For more than one decoy, 50% of the total order is required when the order is placed and the balance plus S&H is due before order is shipped. Payment may be made by cash, check, certified check or money order. Sorry, we do not accept credit cards.